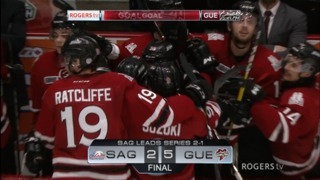 The Guelph Storm announced today that forward Isaac Ratcliffe is the Player of the Week for the week ending November 26th, 2017. 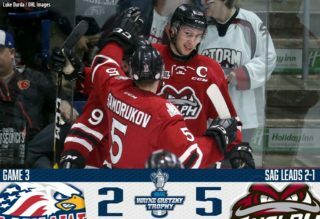 Recording five points in three games, Ratcliffe led the way offensively for the Storm this past weekend. Held off the scoresheet on Sunday against the Knights, Ratcliffe was instrumental in the Storm’s two victories. 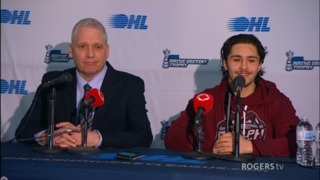 Friday night against the Colts, the Flyers 2nd round selection in 2017 was named 1st star of the game recording 1 goal and two assists while on Saturday in Owen Sound, the 19 year old had a goal and an assist in the 4-2 win over the Attack. So far this year, Ratcliffe leads the team in goals with 12 and sits third on the team in scoring with 21 points. He has recorded at least one point in six of his last 8 games. 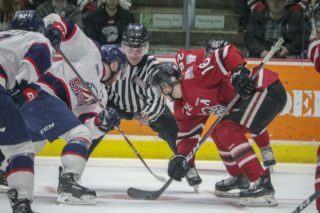 Next up, the Storm have a lighter week coming up as they host the Erie Otters at the Sleeman Centre on Friday at 7:30pm before heading to Owen Sound for the second Saturday in a row to face off against the Attack. 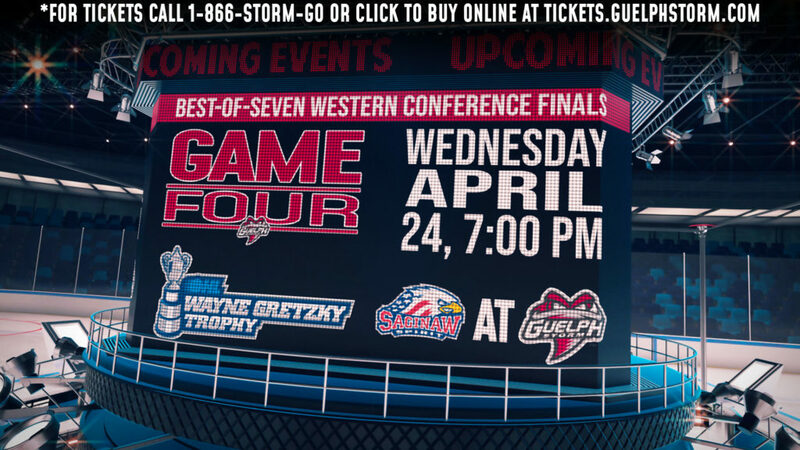 Tickets are still available for Friday’s game and can be purchased online or by visiting or calling the Guelph Storm Box office at 519-837-9690. Saturday December 9th: The Storm host the Guelph Giants at the Sleeman Centre on Saturday in support of special needs hockey in Guelph. Admission is complimentary, but monetary donations are appreciated.